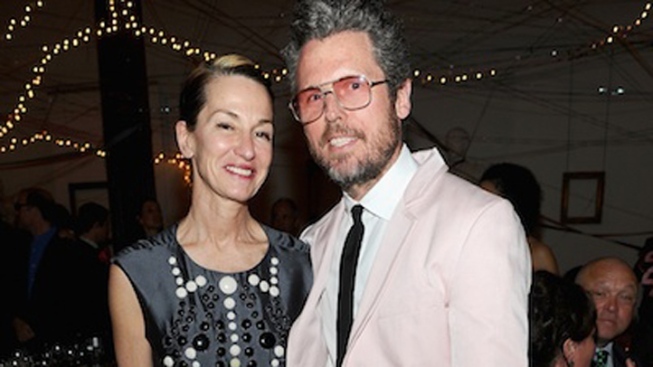 Cynthia Rowley will introduce her new menswear line, Mr. Powers, online and in stores this July, WWD reports. Named for her husband, Bill Powers, a New York gallery owner and judge on the Bravo series, "Work of Art," the line represents Rowley's return to the category, which had waned from her repertoire over the years. The collection, which will retail between $60-$495, consists of 24 styles of sport coats and jackets, sweaters and T-shirts—in other words, all tops. Because, said Rowley, "we think everything looks better with jeans — and guys already have their favorite jeans." A woman—and designer—who certainly seems to know what men want.